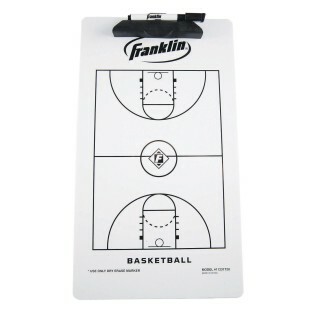 Dry-erase clipboard includes marker and felt eraser. Proportional court layout, includes 3 point line. Clear plastic sheet prevents smearing. Measures approximately 9" x 15' with convenient clip design. 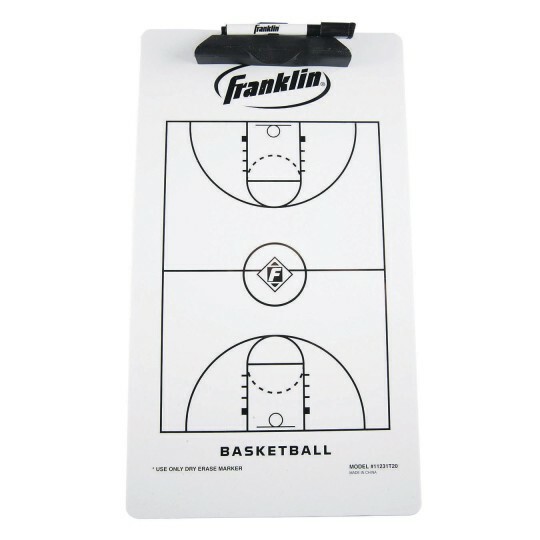 Dry-erase clipboard includes marker and felt eraser. Proportional court layout, includes 3 point line. Clear plastic sheet prevents smearing. Measures approximately 9" x 15' with convenient clip design.